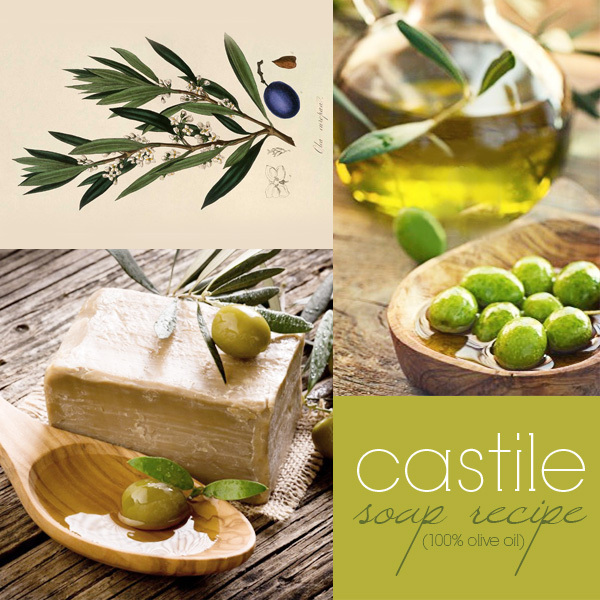 Castile soap is a name used in English-speaking countries for olive oil based soap made in a style similar to that originating in the Castile region of Spain. 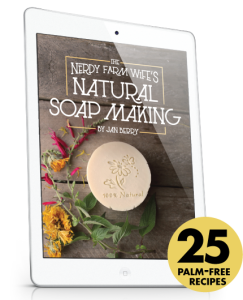 It’s an all-vegetable soap made primarily with olive oil, although sometimes it can also contain small amounts of other plant oils such as those from palm, coconut, hemp and jojoba. This recipe uses 100% olive oil, which makes for a very gentle, low sudsing, soft bar that can be used both on the body and on the face. It’s great for all skin types, specially dry, sensitive and mature skins. It can even be used for babies. 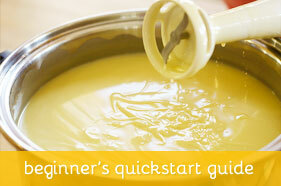 Because of the high olive oil content, this soap takes longer to reach trace, so make sure to use a mixer. It also takes longer to cure (at least 6 weeks). Make sure the soap stays dry between showers, or it will melt quickly. 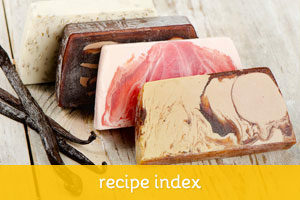 The recipe provided below is made with 32 ounces of oil/fat to make a 2 pound batch of soap. Use standard cold process procedures. For millennia, Castile soaps have been made by artisans. 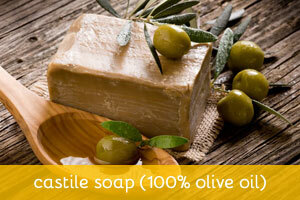 The soaps were made from olive and laurel oils. Tied to the crusades, these soaps travelled the world. As the Crusades expanded, the production of the soap expanded as well to the entirety of the Mediterranean area. Through time, the artisan soap makers in Europe found it difficult to access the laurel oil and dropped it in the recipe. It became popular because it was a soap which hardened further and even when it aged, it never lost its whiteness. Making the rounds in environment-friendly quarters, the Castile soap is enjoyed a number of ways. As the soap is mainly created from plant oils, like jojoba and vegetable oil, apart from olive, it makes many users keener to use it as it is less harmful to the environment. It is important to safeguard from harmful chemicals. This extends to our environment as well as everything that is used at home ultimately affects the environment. As the Castile soap has been present in households since the 16th century, it nestles in your homes for a variety of purposes as well. The Castile soap is a favorite of people who have sensitive skin. It is gentle and the natural ingredients still address skin problems such as dryness, chaffing, blemishes and acne. The oils in the soap also contribute to moisturizing the skin which is critical in those who have eczemas and psoriasis. Dryness and constant trauma to the skin propagates and exacerbates psoriatic plaques. Therefore, the moisturizing effect of Castile soap could address this. Not only as a healthier alternative, but Castile soaps are also best for your baby’s skin. As the skin of infants and toddlers are sensitive, it is best not to expose them to harsh chemicals. But not only will the babies enjoy, but men as well! The Castile soap gives a good lather which is essential for getting a close shave. Plus the moisturizing effects will prevent unsightly stubbles and ingrown hairs. But Castile soaps are not relegated to the world of bathing and beauty alone. In the kitchen, Castile soaps could function as a laundry and dish soap. Ridding the smell of food on cooking utensils is possible. The soap could even combat those stinky diapers and clean soiled clothes effectively. Apart from the countertop, the Castile soap could address your kitchen floor. Ergo, Castile soaps are really worth trying as they have been always in the castles, now is the time to have it in your home!